Miles Johnston recently hosted an amazing conference in Ireland in which some of the top Speakers on the World of the Occult and Conspiracies spoke. This video on ever important topic of the Black Goo. 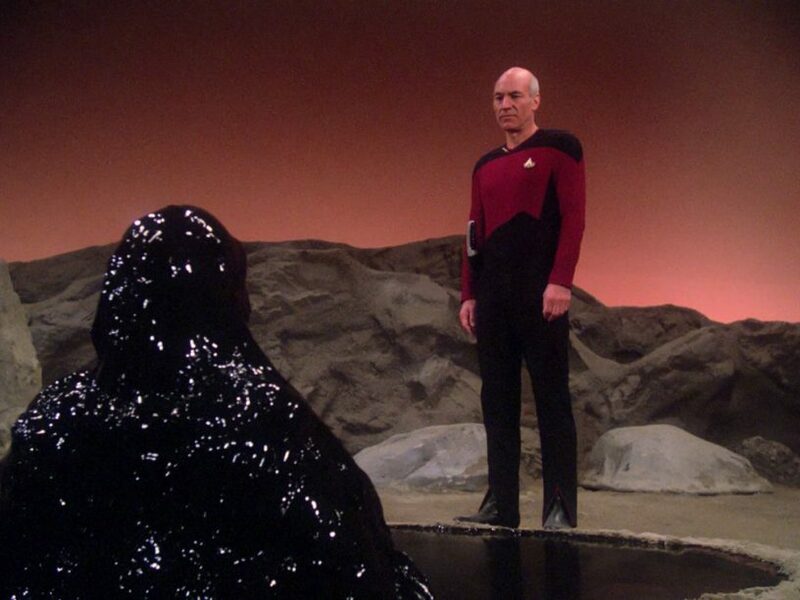 Some say it is an Evil Sentient similar to what we first saw in the Star Trek, but others have also stated that there are two types of Black Goo, one being Evil and the being the energy lifeline of the Earth itself that has been corrupted over the years. As always the Military Industrial Elites are front and center. This tale on the History of the Black Goo is told by a former SuperSoldier called “John”, who was a member of the British Armed Forces. Soldier “John” , now extremely ill, describes his personal events on **’Thule’ island i**n the far south Atlantic, in 1982, when his mission orders were changed to go to this island, and ultimately destroy the remaining Argentinean ‘refinery’ base deep under the ice, in strange, beautiful, blue ice tunnels, where many crates or tanks of this sentient fluid were contained. Involving three Royal Navy ships, which bombarded the island for some hours, before John and the rest went in, a container ship, and a submarine. John describes his personal experiences to a small Bases Christmas lecture audience at the Black Swan Inn, Devizes, Dec 2017. The Black Goo has been much talked about, now we have a soldier who stood on top on these crates inside a super cold tunnel system, and was there when the Royal Navy and SBS – SAS forces removed many tanks (2, x 2m by 1.5) for use in the UK, which resulted in many deaths of Marconi scientists in the later 1980s. Nexus Magazine is publishing an update in Alec Newald’s book Co-Evolution. This account described by John, a former soldier of a certain regiment in the British Army, who was there when a massive quantity of the ‘oil’ was removed, and who was part of the team responsible for the destruction of the facilities there, in 1982. This has never been made public before. He has given this statement due to the state of his health, due a strange illness which requires him to give many very painful blood samples, often spending time in hospitals in counties far from his native England. The lecture was immediately preceded by a special presentation by Michael Shrimpton on the Falklands islands, which had a Nazi submarine base on Thule Island in the 1940s, and possibly earlier..and later, and links it to the infamous Admiral Byrd mission in the early 1950s. The Armus Black Goo Mass from Star Trek. Notice that the name of the Episode is called “Skin of Evil” because that is very similar to the ending of Lucy the movie. The Ending to Lucy. Notice anything similar?